Organizations that aspire to achieve competitive advantage must be aware of rapid changes in their markets. The relationships between strategic organizational orientations and performance have been investigated. 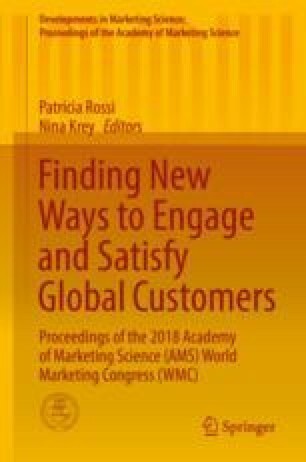 While marketing studies have tested the direct positive effect of customer orientation (CO) on firm performance, most of these studies have ignored the role of dynamic environments as a potential moderator of this effect. Notably, performance depends on strategy but also involves the adjustment of the organization strategy to external environments (Calantone et al. 2003). Here, we define performance as a unidimensional scale, which reflects firms’ performance compared to competitors. Against this background, we developed and tested a model, which examined the impact of CO on performance while accounting for the moderating role of environmental dynamism, captured as market turbulence (MT). Our major purpose is to examine and identify the role of MT as moderator between CO and performance. Following Homburg et al. (2011), we define CO as a two-dimensional construct: functional and relational customer orientation. The MT scale was taken from Jaworski and Kohli (1993), and performance was taken from Shoham and Fiegenbaum (2002). We hypothesize that the greater the MT, the stronger the relationship between CO and firm performance. Data were collected through a professional online panel company. The sample included 198 managers in Israeli organizations, who responded to a questionnaire with 7-point scales (1 = strongly disagree to 7 =strongly agree). All scales were reliable with Cronbach’s alpha coefficient exceeding 0.70 (Nunnally 1978). Before running the model, we accounted for MT as a moderator by defining two subgroups of MT (low and high) where the median of MT was the cutoff point.. Using structural equation modeling (SEM) via AMOS software, the results of the measurement model indicate a good fit with χ2 = 636.61, DF = 327, χ2/DF = 1.95, p = .00, IFI = .95, CFI = .95, TLI = .94, and RMSEA = .05. Then we conducted two distinct models. First, we ran a model without the MT moderator. The data indicated a positive and significant impact of CO on firm performance. The second model included the MT moderator, and the results indicate that in high level of MT, the impact of CO on firm performance is greater compared to its impact under low levels of MT. The findings provide several managerial implications. Managers should strive to enhance CO in order to achieve strong firm performance. Only by doing so can they capitalize on opportunities and respond to competitive threats in the marketplace. Managers should devote attention to environmental dynamism. CO is especially crucial when market turbulence is high.